Bharadwaj, far left, helps make a model out of foodstuffs to teach about blood. Lenape High School senior Megha Bharadwaj, 17, found Girl Scouts later in life than most. Although she only joined the organization in seventh grade, Bharadwaj said from the very beginning she’s loved how Girl Scouts has always offered her opportunities to give back to her community. 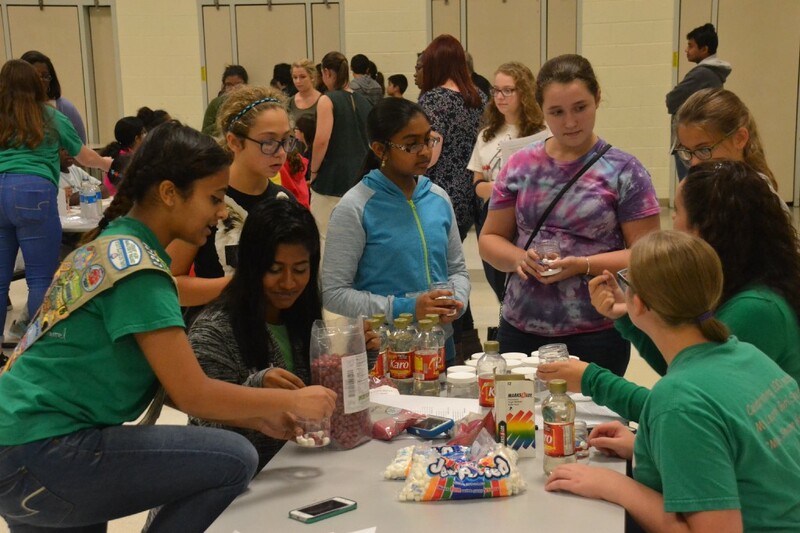 Most recently, Bharadwaj gave back in perhaps her biggest way yet when on Oct. 6 she organized a STEM career night for young girls in the area. The night was part of Bharadwaj’s attempt to her earn her Girl Scout Gold Award, which is the highest award available to Girl Scouts and can only be earned by identifying a prevalent problem in the community and implementing a sustainable solution. 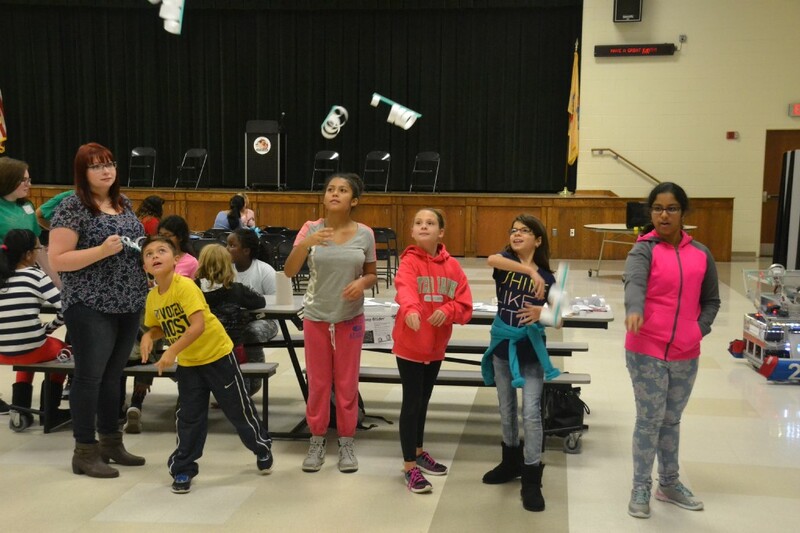 Throughout the career night, dozens of young girls spent more than two hours at Hartford School learning from professional women already established in STEM fields while they joined together in hands-on STEM activities. Just some of the activities included using computer coding software, building flying gliders, controlling robots, learning about ink through chromatography and even using food to make a model of the cells in the human bloodstream. Bharadwaj said she’s had an interest in the sciences since she began high school, and so when it came time to choose a project for her Gold Award, getting more girls involved in STEM seemed like a great choice. “I think it’s really important to have a love for this, so starting that at an early age will help girls have motivation and destination, so even if they do get one class where they may not like it at first, they can see it through and they won’t shy away from the different STEM fields,” Bharadwaj said. And even if the girls who attended the career night don’t follow through with a STEM career later in life, Bharadwaj said it was still important for the girls to be exposed to all possibilities. “They’re meant to have fun and just see that ‘Oh, this is cool’ and if anything just enjoy themselves tonight. 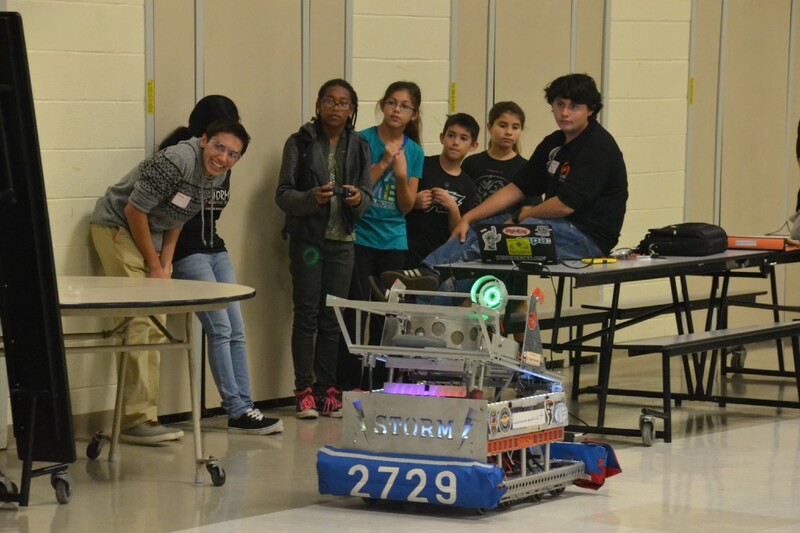 It can be fun and it’s rewarding and you get to do really cool stuff like this,” Bharadwaj said. Bharadwaj said once she leaves high school she hopes to study a STEM field in college, but she hasn’t narrowed her choices just yet since she has so many interests.